Virgin Coconut Oil: A Possible Cure For AIDS? 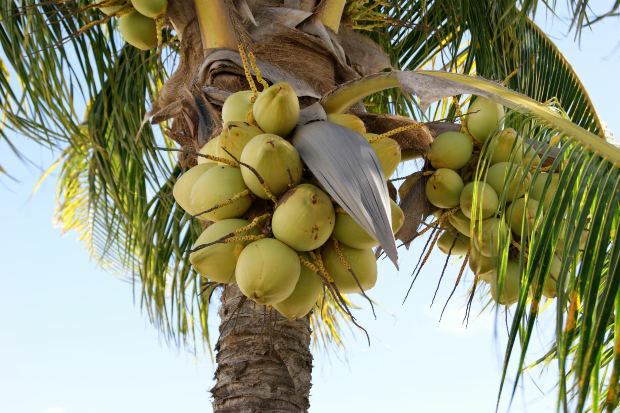 Coconut, the tree of life, indeed has many secrets up its sleeve. Unrefined and cold-pressed or simply virgin, coconut oil is being rediscovered because of its immense medicinal and curative properties for many diseases, and it is steadily regaining its rightful position in the world of oils. For generations, the oil is produced by Southeast Asian countries, notably, the Philippines. A recent discovery for this pure oil is its capability to retard the spread of the Human Immunodeficiency Virus (HIV) in the body. Aside from HIV, coconut oil also fights other common viruses. 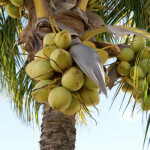 For many years, coconut has been much maligned in the North America because of business competition which favored polyunsaturated fats such as corn, canola, soybean, and sunflower oils. However, Dr. Ray Peat, an American endocrinologist, found that “unsaturated fats block thyroid hormone secretion causing the body to slow down its metabolic rate. When metabolism is depressed, the body’s tendency is to build deposits of high-fat fats which encourage weight gain.” Vegetable oils were used as an alternative to animal fats, but little did the industry know that there is still healthier oil under their eyes. Dr. Conrado Dayrit has studied the benefits of coconut oil for the last two decades and isolated its effects to several viruses. Coconut oil has lauric acid in it, and this medium chain fatty acid is converted into monolaurin when it is taken into the body. Dr. Dayrit says that “(m)onolaurin is used by human or animal to kill the lipid-coated viruses such as HIV, herpes, cytomegalovirus, influenza, and other pathogenic bacteria like listeria monocytegenes infesting dairy cattle and poultry and helicobacter pylori that causes peptic ulcer.” The fatty acids present in the virgin coconut oil attack the lipid (fat) coat of certain viruses and bacteria that inhibits their growth and destroys them. This discovery has caused quite a stir in the medical community – on how an obscure palm fruit can be the cure for the progression of HIV positive patients to AIDS. Dr. Dayrit’s study of 15 HIV positive patients proved that over a period of six months, the viral count in their body has gone down considerably. Aside from this virus-fighting capability, virgin coconut oil is also known to be a “natural fat burner.” The medium chain fatty acids are readily absorbed into the body and replaces bad fats and cholesterol. Moreover, virgin coconut oil is an energy booster because once it is ingested, it goes directly to the liver for processing, rather than go to the bloodstream like normal fats would do. Jack is a free lancer writer of www.howtouse.org/ and he loves to write about making best use of oils.